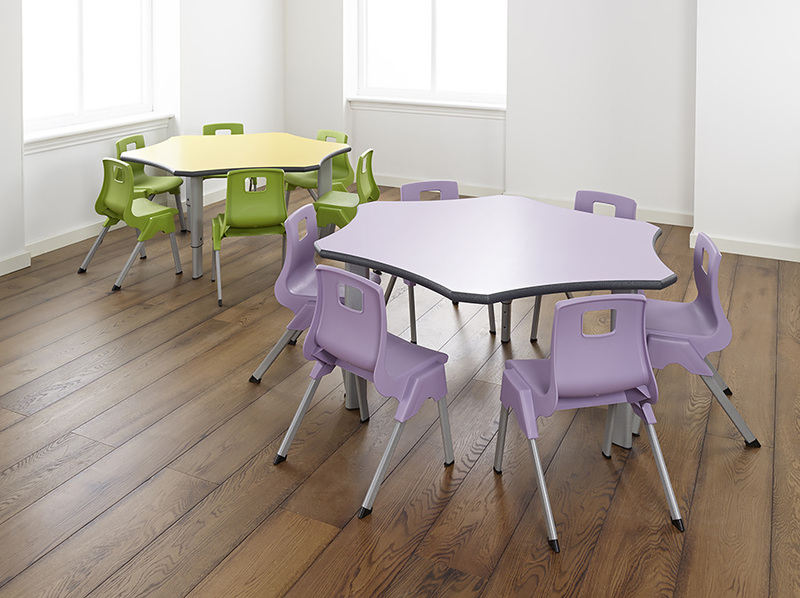 The flower classroom table is height adjustable to five different heights, making it ideal for use in primary schools, pre-schools and nurseries. The 5 height settings, from 400mm to 640mm, are suitable for children aged 2-11 years. Legs are adjusted using the Allen key included. Constructed from a sturdy steel frame, with a speckled light grey finish, and a 25mm thick laminate tabletop, which is available in 13 vibrant colours. The table top features a hard wearing textured spray PU edge which is available in a choice of 3 colours - blue, light grey or charcoal. 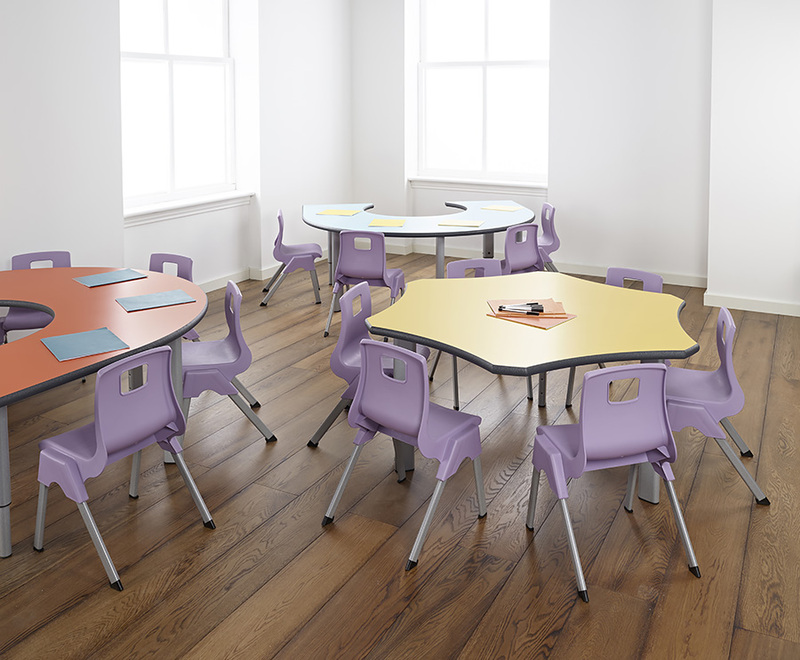 The shape of the table top allows space for up to 6 children to work comfortably, making this table great for classroom group work. 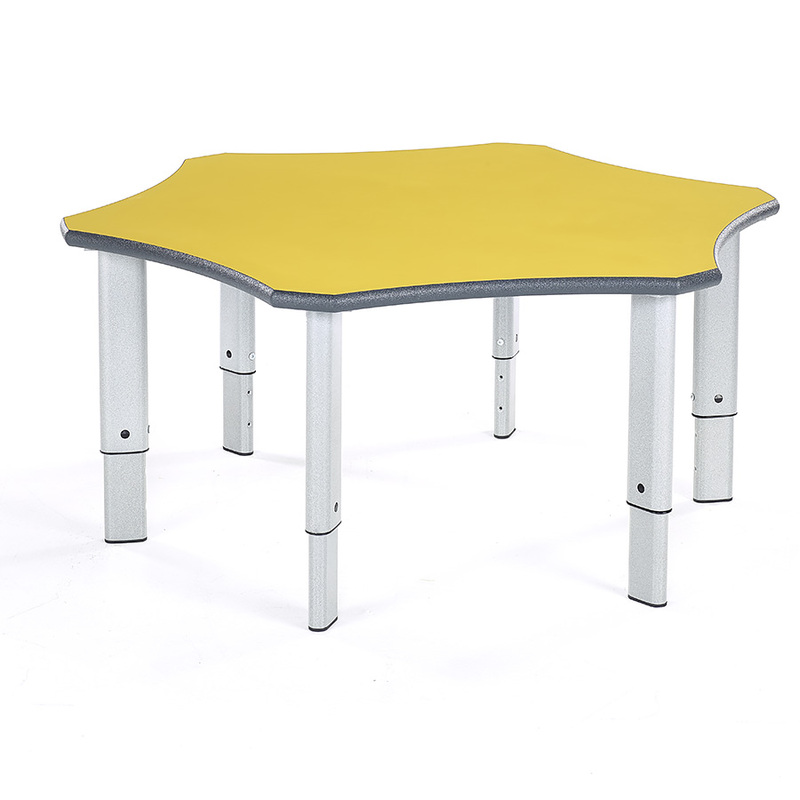 The height adjustable flower classroom table includes a 5 year warranty and is EN1729 complaint.